We're just at the beginning of cloud computing. And I think many of you are familiar with the applications of Google Drive. 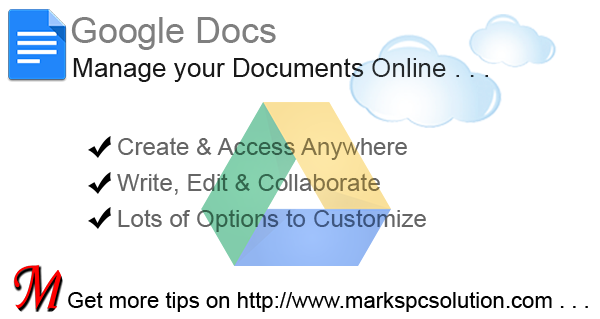 With Google Drive apps, you can perform almost all tasks of Microsoft Office. Today I would like to talk about Google Docs which can be used as a perfect alternative of Microsoft Word. Documents are automatically saved to drive!! Basically it's a browser based application. For best performance, you must use the latest version of Google Chrome. And the connection speed should be more than 256 kbps to load the page properly. 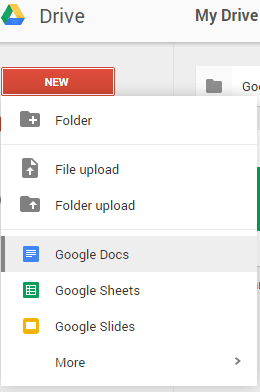 Hit on the red New button and choose Google Docs to create a new document. After creating the new document, you will get an interface which is almost similar to Microsoft Word 2003. And the pull down menu commands are also similar to Word 2003 except few changes. You can use the same keyboard shortcuts that are used in MS Word documents. Use File menu to share, open, create, rename, download or print a document. Page setup option is also available here. Use Edit menu for undo, redo, cut, copy, paste, find & replace. Use View menu to adjust your visual settings. 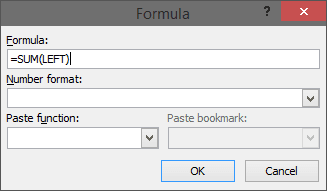 Use Insert menu to add image, equation, symbols, page number, header, footer, drawing etc. Use Format menu to give your document a final touch i.e. bold, italic, underline, line spacing etc. Tools menu helps you to check spelling, word count, research and define. Table menu provides you the complete solution for creating and editing the table. Remember, these 7 menus are very similar to Word XP or 2003. But unnecessary options are not included here. And some new options for collaboration are added which you can't find in Word. For your convenience and quick access, you can use the toolbar just below the menu. Print, font, font size, text color, style, linking, bold, italic, underline these options are always ready to use. If you need to save something on your hard disk, go to the File menu > choose Download as > Microsoft Word or any other format you need > Save. By default, the new document is untitled. If you need to give it a name, use the Rename option from the file menu. What did you think? You must be always online to work in Google Docs? Not necessarily! You can also work offline (even without signal) if you need to. For this, you must be signed in to chrome. And then visit either Docs, Slides or Sheets. Offline editing will be turned on. Know more . . .
Hopefully, you've enjoyed the post. If you have any query, you know what to do . . .
Blogger allows you to run a blog at free of cost. Unlike WordPress, you can use all the features and benefits from blogger without spending a single dollar. But if you would like to use a custom domain for your blog, then you have to purchase it from a third party domain registrar. Few years ago, blogger had its own domain registrar and the users could purchase a domain from blogger dashboard. And it was very easy for the users to set a custom domain that time. But later blogger stopped providing custom domain service. So, the bloggers who would like to use custom domain for the blogs, should purchase domains from third party. Well for the new users domain set up process is little bit complex. But if you go step by step, then it wouldn't be so difficult. And there are many other domain service providers throughout the web. You can find them by search with the words - Domain Registrar or Domain Provider etc. And the registration charge and renewal varies with the provider. I guess, you have to pay $10 to $15 per year for the domain name only. Hit on the Save button. Now you will see an error and two CNAMEs listed below. The first CNAME is same for all - Name being "www" and Destination "ghs.google.com". And the second CNAME varies person to person. It's a security CNAME. Example - Short token - 2mdsgfwgqzh3. Long token - gv-brhg3pungts8u7.dv.googlehosted.com. Now go to your domain hosting provider's site and find DNS (Domain Name System) settings from the dashboard. Enter the first CNAME as - www for name, label or host. And ghs.google.com for destination, target or points to. Enter the second CNAME similarly. Enter the short and long security token. Set the TTL to 1 hour. 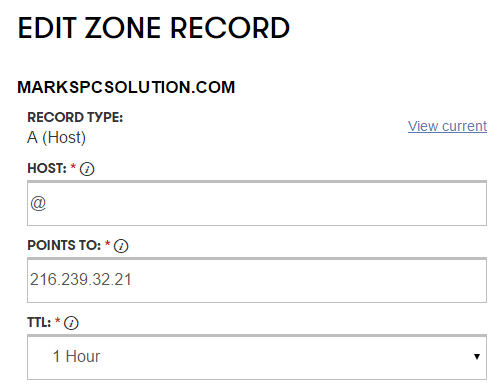 For moving your naked domain to an actual site ( from markspcsolution.com to www.markspcsolution.com) you have to enter A records. Otherwise visitors may not access your site without using www. Now wait for about an hour to move to the final step. By this time your DNS settings will be activated. 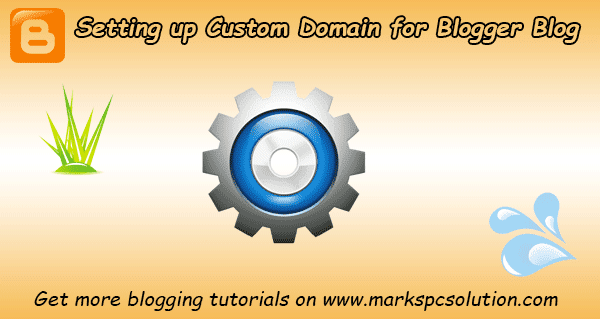 Again back to the blogger Settings > Basics > Publishing > Edit > Enter your custom domain URL > Hit Save. That's it. Wait wait wait! Don't be hurry. Don't be disappointed. It might take up to 24 hours to work properly. And then your blogspot site will be redirected to your custom domain. If the custom domain doesn't work, there could be any problem in the settings. In that case, you can contact your domain registrar or take help from an expert. All the backlinks you have with previous URL will no longer be counted. But you can still get visitors from old backlinks/ bookmarks as your previous URL will be redirected to the new URL. The link of all posts will be automatically converted to the new URL. 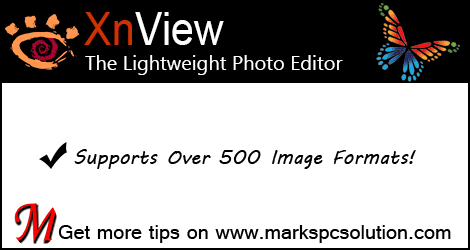 Images you've used with the posts will be showing without any problem. If you would like to know anything else, please knock me . . .
Able2Extract is a multi-function PDF tool which allows you to create, convert and secure your PDF documents. And you can also use this application to view your PDF files. In compare to Adobe Reader, Able2Extract is a genius tool. While Adobe Reader 11 is 72 MB in size, this tool is only 44.4 MB. And you can convert PDF files into multiple formats which is not possible in Adobe Reader. If you're a regular visitor of Marks PC Solution, then you should know, we share free and open source tools mostly. But Able2Extract is a paid tool. Of course you're allowed to use 7-day free trial version. For the first time I'm gonna recommend the visitors to use a paid tool because it's worth of . . .
Able2Extract PDF Converter 9 works with all the running versions of Windows operating systems (from XP to 2010). It works on both 32 and 64 bit operating system. It requires 100 MB space on your hard disk and 512 MB RAM. And no other special requirement. Visit the site INVESTINTECH PDF Solutions. Download the Trial Version of Able2Extract PDF Converter 9. If you need to convert scanned file then you can choose Able2Extract Pro with OCR technology (53 MB Download Size). When you finish downloading, complete the installation normally. Note: This tool also work on Mac and Linux. Read more . 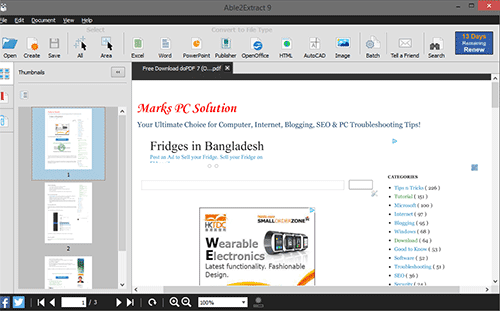 . .
PDF Creator: Able2Extract is capable of creating PDF from almost any program. 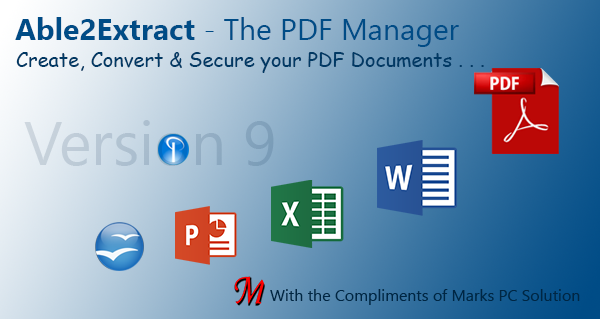 You can create PDF file from Word, Excel, Access, PowerPoint or any other printable documents. Conversion Process is just like doPDF. You have to go to the print option of your document. Then choose Able2Extract from printer list. Finally choose the destination for the file. PDF to Other Formats: This tool is also great for converting PDF files into Word, Excel, PowerPoint, OpenOffice and even in HTML formats. To do so, you've to choose Batch Conversion either from File menu or from toolbar. Batch Conversion allows you to convert multiple files at a time. Add your files > Select Output Folder > Choose Conversion format > Enter the captcha > Hit on the convert button. Secure your Document: Able2Extract allows you to set password on your documents during the conversion process. Suppose you're converting a Word file into PDF. Go to the Print option > Choose Able2Extract from printer list > Choose your destination > Go to the Option > Move to Security tab > Tick mark Secure PDF > Passwords > Set your User and Owner password > OK. Now when you open your file, use any of the passwords. Should I tell you everything in this post? Is it fair? You've nothing to explore? No it can't be. Download the software and explore . . . This is gonna be the goodbye message to Internet Explorer (IE) from Marks PC Solution. Released with Windows 95, Internet Explorer is still holding the position of default browser in Windows Operating Systems. After running for the 20 years, Internet Explorer is now too old to use. Windows 10 (Technical Preview) users are still using Internet Explorer 11. But in Windows 10 Consumer Preview, Internet Explorer may no longer be available. Currently Microsoft is developing a new browser with the codename Spartan. If the codename is not changed, then Spartan will be the default browser of Windows 10. What Does the Word Spartan Mean? The citizen of Sparta is called Spartan. Sparta was a prominent city in ancient Greece. But I really don't know where the codename Spartan come from. Why Microsoft is Terminating the IE? In fact, the termination of Internet Explorer is the demand of time. As I mentioned in my browser review post, Internet Explorer is losing market share to Chrome and Firefox, so it's really difficult for Microsoft to increase it's popularity. During the last 4/ 5 years, Windows users have stopped using IE. And most of the web developers have also stopped maintaining the IE standards. That's why IE users are facing security and incompatibility issues. When people get something new, they become interested to it. Most of the people of the web (Not Me) now love to hate Internet Explorer. That's why there is only one way open to Microsoft - Termination! But one source said, Microsoft will keep Internet Explorer along with brand new browser Spartan. How will be the Spartan? Microsoft hasn't shared anything about Spartan yet. In fact, the rumor about the new browser has been spread by the tech sites. 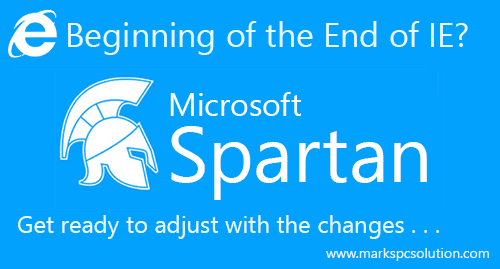 As signaled by most of the sources, Spartan will be much more different from Internet Explorer. It will enhance the user's browsing experience. Everything we are getting about Spartan on the web are sill vague. Because Microsoft hasn't declared anything officially. And the project is just codenamed as Spartan. Just 3 days later, on January 21, Microsoft is gonna host a press meeting about Windows 10 Consumer Preview. The general idea about MS Word is that, it's all about typing. Most of the users think that it's nothing but a word processor. Of course they are not wrong. 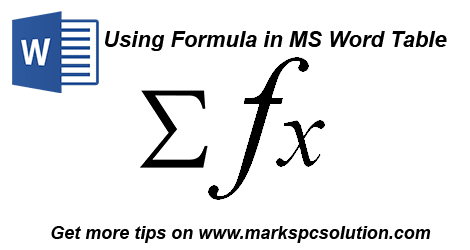 But you can perform some basic calculations in MS Word while you're working with a table. It allows you to perform logical comparisons too! Intermediate level users should already know this trick. But the basic users may not have any knowledge about MS Word Table Function. That's why I'm sharing this little trick. Note: This tutorial is prepared based on MS Word 2010. So you may notice slight changes in other versions. Suppose you've to sum up the values of rows and columns of this table. And for this work, you don't need to use Excel. Simply use the Formula option. In Word XP/ 2003, you will find the Formula option under Table menu. Note: The Layout tab will be available when you put your mouse in a table. When you're out of the table, this tab will be hidden. Since there is no value in the top, Formula automatically assumed the values on the left side. If you put the cursor in the January total cell, it will show =SUM(ABOVE). Simply hit OK to sum up the values. But if there are values both on left and top, then it will consider the values of the top. In that case, if you need to sum up the left side values, you have to manually write the formula as =SUM(LEFT). How to Update the Formula Result? Method 1: Simply delete the result and use the formula again. Method 2: Select the result by mouse, and press F9. If there are multiple formulae on the table and you need to update all the results, Press Ctrl+A > the F9. In earlier version of MS Word, there were some limitations. But Word 2010 or 2013 is more flexible. You can use the formulae in different ways. While using the formula, you can use all the 4 directions of a cell - Left, Right, Above and Below! Caution: The function will not work without Equal (=) sign. And it must be typed on the Formula window. Hope this will help you a lot. If you need any help, just knock me . . . I know you're tired of searching for KMSPico 10.0.4 but you've found nothing! All you've found is just spams, ads or viruses. Most of the sites will harass you instead of giving the direct link. It's only Marks PC Solution where you get something directly. Today I'm gonna share the latest version of KMSPico with you! If you run this activator in Windows Vista or 7, then you must have .Net Framework 4.0 installed on your system. But if you're already using Windows 8 or higher, then there is no special requirement. New Feature - Remove Water Mark! KMSPico 10.0.4 comes with a new feature - Remove WaterMark! 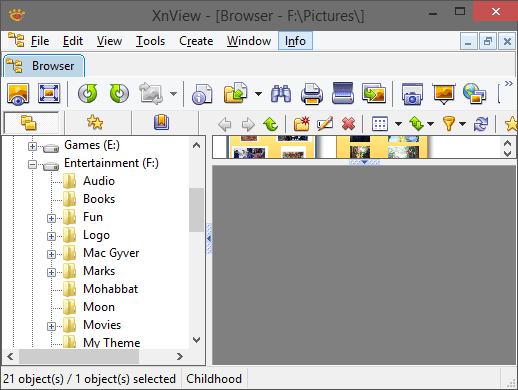 If you're using any preview version of Windows, then just select this option as shown in the above image. And finally press the Red button. Reboot your PC and see the magic! You can also press the information button (blue i button) to check your system status. 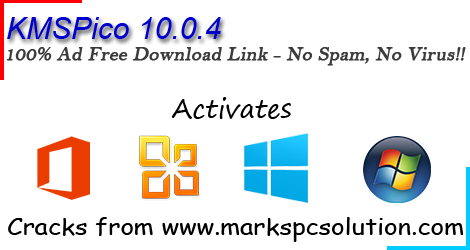 Download KMSPico 10.0.4 - from Mirror 1 or Mirror 2. It's only 3 MB and 100% clean. Unzip the folder and keep the activator in a safe location. Now find the file named Office 16 and rename it as Office 16.exe to make it active. Install the KMS on your PC. Now find the KMSPico from your Start Menu and run it. Here you will get a small window like the above image. You will get Office and Windows icon on the window. Press the Red button to activate your Office or Windows. 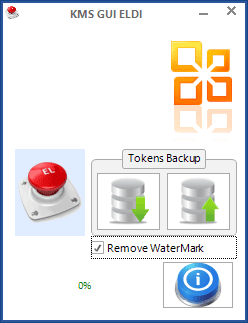 If there is any water mark on your desktop, choose the Remove WaterMark option and press the Red button. Within few seconds your system will be activated. Now reboot your system and check your activation status. I've shared different activators in Marks PC Solution. I know, all activators don't work for all. That's why I suggest you to try different activators when one doesn't work. Hopefully, this one will work for all the users. One request - Please share my posts or at least give +1 to them. Thank you . . .
Another year has gone from our calendar. And we're one more year close to the final day. 2014 was really a nice year with some technological breakthroughs. Actually we have innovations in every moment. 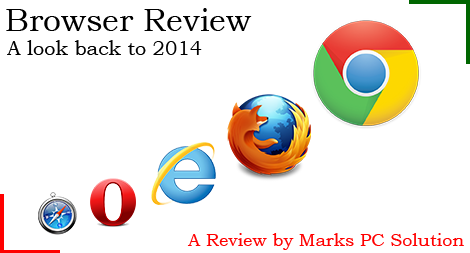 Today I would like to write a review on Internet Browsers. In this post, I want you have a look back to the 2014. Here you get two statistics side by side. The first one is published by w3schools.com. You know they publish statistics month by month. 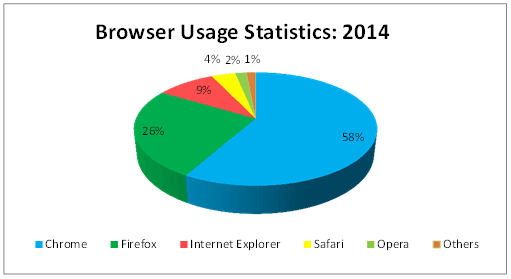 I've summed them up to show you the yearly users of the popular browsers. And the second one is the statistics by Marks PC Solution itself. It's generated from Blogger Dashboard. Here I've included the statistics of two years - 2013 & 2014. 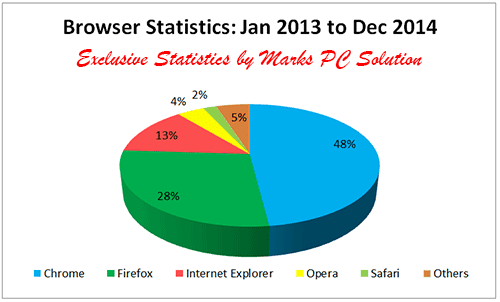 The browsers used by the visitors of Marks PC Solution from 2013 to 2014 are shown here. I've also created pie charts for better understanding. Have a look at them. Reviews by Marks PC . . .
Google Chrome: Market leader and the most popular browser as well. Chrome has captured more than 50% share of the browser market and ever growing! Mozilla Firefox: Beaten by Chrome about 2 years ago and now gonna lose it's position as market challenger. Firefox has now only 26 to 28% market share and losing users to Chrome rapidly. Internet Explorer: Released in 1995 and survived as #1 for more than a decade. Now just keeping the honor of default browser of Windows OS. Capturing only 10 to 12% market share, the explorer will not give you a bad browsing experience at all! Opera: Tried their best to be popular in desktop environment. But it really disappoints the users! Being branded for mobile devices, Opera Mini is really successful in smart phones, tablets and featured phones. Apple Safari: A default browser for Mac OS. If the browsers were reviewed by weight, Safari would be the champion in this arena! I really hate this stupid browser. It's too heavy to work with. Your system may suffer to run it. It loads pages slowly as per my experience. Others: Combining all other browsers, you can't get more than 2 to 5% share. In Marks PC Solution, I've detected these browsers - Mobile Safari, UCBrowser, Iron, Maxthon, Chromeframe, CriOS, NetFront, Netscape, Dragon etc. Chrome has taken the first position in 2012. And now it's going far away from Firefox. Nice look, continuous development, new features have made it unbeaten. Recently, Chrome has added some exciting features like - Cloud Printing, PDF conversion etc. On the other hand, Firefox is still popular to the developers. Thousands of extensions have made it popular to the advanced users. But it's heavy looking interface is mainly responsible for decline. As a default browser, the number of users of Internet Explorer is really low. It should have at least 20% users. But it's beaten by the browsing experience, compatibility and extensions (add-ons) of Chrome and Firefox. Microsoft is trying hard to make it popular. Earlier, the developers used to follow IE standards. But now they follow Firefox or Chrome sometimes! I've just tried to share my thoughts with you. Don't take it otherwise! Of course you got choice to discuss here . . .